To mark four years since Saudi Arabia started bombing Houthis rebels in Yemen, new analysis by Save The Children says that air strikes by a coalition of Arab states led to 226 children dying and 217 being injured in the past 12 months. The coalition has used bombs made in Scotland. Save The Children says the figures are “likely conservative” as not all civilian casualties in Yemen are reported publicly. They also do not include huge numbers of deaths from the knock-on effects of war, such as starvation and disease. The children’s charity said that open source reports compiled by the Civilian Impact Monitoring Project recorded a total 969 child casualties – 393 deaths and 576 injuries – from “direct conflict-related violence” in Yemen over the last year. These included casualties from air strikes. The Saudi-led coalition deploys UK warplanes dropping smart-bombs made in Fife. It has been accused of scores of war crimes since March 2015 after schools, hospitals, bused and residential areas were hit and thousands of civilians killed. The Ferret has reported that Paveway IV bombs made by US arms firm, Raytheon, at its factory in Glenrothes have been linked to alleged breaches of international humanitarian war by the Saudi-led coalition. The Houthis have also been accused of war crimes during a prolonged conflict that has caused a humanitarian catastrophe in one of the region’s poorest nations. Raytheon – which has received more than £200,000 in grants from Scottish Enterprise – employs more than 700 people at its Glenrothes site and is a major contributor to the local economy. 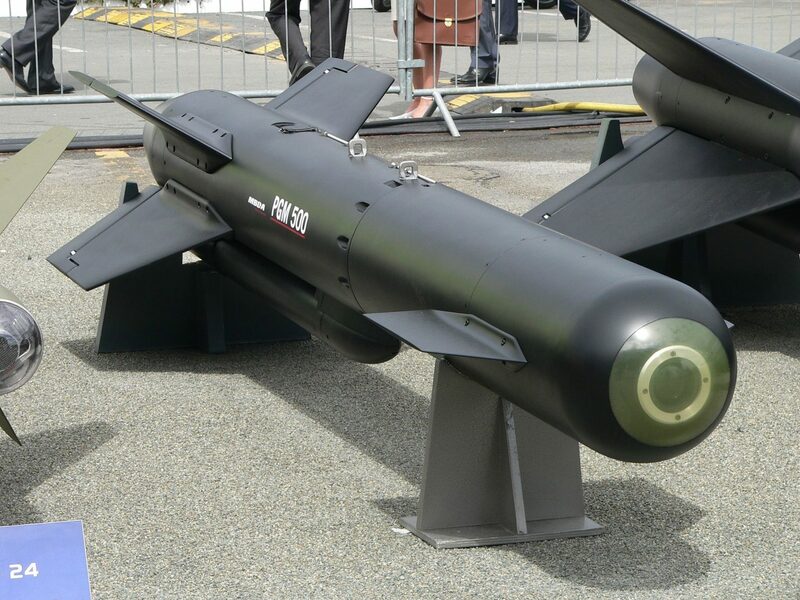 Hundreds of Paveway IV bombs have been sold to Saudi Arabia. But the UK government has been under constant pressure for several years now to suspend arms sales due to multiple claims of war crimes by the coalition. Ministers are facing a legal challenge over these arms sales by Campaign Against Arms Trade which is due to be heard next month in London. Save the Children previously estimated that 85,000 children under the age of five may have died from extreme hunger since the conflict escalated on 26 March 2015. Nearly 400,000 children will need treatment for severe malnutrition this year alone, according to the United Nations (UN). “For a fourth long year children have continued to pay the price for this vicious war,” said George Graham, Save the Children’s director of conflict and humanitarian advocacy. He added: “Our teams are treating those children we can, but we cannot reach them all. Britain has the power to help put a stop to this terror, at the UN and through its influence with allies. Andrew Smith of Campaign Against Arms Trade said: “As the war enters its fifth year, the humanitarian crisis is only getting worse. Thousands of people have been killed and vital infrastructure has been destroyed. Like in all wars, it is civilians who are paying the terrible price. The UK government’s Foreign and Commonwealth Office stressed that the UK is doing all that it can to help find a way to end the “devastating” conflict. “We are putting our full weight behind the work of UN Special Envoy, Martin Griffiths, and the UN-led peace process, and have been actively urging the international community to do the same,” said a spokesperson. Meanwhile Médecins Sans Frontières (MSF) said that four days of intense fighting in the Yemeni city of Taiz had left people unable to access healthcare, with at least one public hospital forced to close. The international doctors’ organisation warned that urban warfare in densely populated areas is having devastating consequences for civilians and preventing war wounded from accessing life-saving care in Taiz city. In one MSF-supported public hospital, medical teams reported that a severely wounded patient was forcibly taken out of the operating theatre and prevented from receiving much needed medical care. “There is a continued need for increased protection of health facilities,” added Ducarme.